Harvey Mudd College’s engineering department began the Clinic program in 1963. It was called a “clinic” because it gave students experience in engineering as practiced by professional engineers, just as a medical clinic provides interns with experience in actual medical practice. At the time, providing undergraduate students with the opportunity to participate in real-world research was extremely rare; such opportunities were usually reserved for graduate school or for a new graduate’s first on-the-job experience. By the fall of 1972, the Engineering Clinic had been in operation for eight years and had proved itself to be an efficient and well-regarded means of involving undergraduate students in open-ended projects that originated in industrial settings. As funding was obtainable for more projects than engineering faculty were available to supervise, faculty from other departments began assisting with the supervision of some Clinic projects. During the same period (from 1970–1972), funds from the Sloan Foundation had been used to support Professor Stavros Busenberg and visiting professor William Hall in teaching an experimental seminar in applied mathematics. This seminar centered around the participants working on problems of current interest in industry, similar to the Clinic program’s approach. The success of the seminar encouraged the applied-mathematics faculty – especially Professors Busenberg and Robert Borrelli – to decide that it was both desirable and feasible for Clinic projects that were selected and supervised by mathematicians to become a feature of the mathematics curriculum. The chair of the mathematics department, John Greever, with the support of the Dean of Faculty, Jacob Frankel, established the Mathematics Clinic despite some initial opposition both within and outside the department. Over a period of months, various details of structure, operation, and budget were negotiated, and administrative approval was ultimately obtained. The first Mathematics Clinic project was scheduled for the fall semester of 1973. Professor Busenberg, who was then in his last year as an untenured assistant professor, volunteered to supervise this first project as an overload to his assigned teaching schedule. The project was funded by Bell and Howell Research Laboratories in Pasadena. Work on the project was carried out by a team of three HMC students during the fall semester, and two in the spring, and resulted in a well-received mathematical model of scintillation phenomena in rear-projection screens. From the outset, it was clear that while the Engineering Clinic provided an excellent model on which to build, the more abstruse nature of mathematics projects would typically require greater involvement and guidance from the faculty advisor(s). The Claremont Graduate School (CGS; now Claremont Graduate University), whose mathematics faculty were mostly in pure areas of mathematics, began offering a Ph.D. in mathematics in 1969. By 1972 there was substantial concern about diminishing employment prospects for young mathematicians in non-applied areas, and a concommitant change in funding for graduate programs in such areas. The CGS mathematics department met this challenge by shifting its emphasis to a master’s program in applied mathematics. As a means of supporting this new program and assisting the CGS mathematicians with their financial problems, HMC offered to enlarge the Mathematics Clinic into a joint operation. This new joint Clinic structure was in place for the academic year 1974–1975 and Professor Greever of HMC and Professor Jerome Spanier of CGS were its co-directors. To avoid confusing prospective clients (who were primarily approached by the HMC Development Office), the facade of a single joint CGS/HMC Mathematics Clinic was created, although each institution actually maintained its own operation, administrative procedures, and budget. As a further means of supporting the graduate program, HMC began the practice of awarding stipends to a few CGS students who would then act as team leaders for HMC projects. In the fall of 1974, our second Clinic project was sponsored by Northrop Corporation, supervised by Professor Borrelli of HMC, and carried out by a team of HMC students and one CGS student. During the spring semester of 1975, we had two Clinic projects and CGS completed its first Clinic project with Professor Spanier supervising. The joint Clinic operation continued until 1980, when the HMC and CGS Clinics became entirely independent. Since the founding of the Mathematics Clinic program, there have been between two and five Clinic projects every semester. Over a hundred projects have been completed, supervised by at least thirty different faculty members. We have worked with many different sponsors, many of whom have returned for additional projects or for refinements of previous projects. Projects have been conducted jointly with the physics and engineering departments and have drawn students from every major on campus including our own joint majors in mathematics and computer science and mathematical biology.  The mathematics department has always enjoyed a strong relationship with Mudd’s computer-science department and our Clinic programs have often been managed in tandem. Sponsors have included entrepreneurs and national labs, defense contractors, and nonprofit corporations. The projects have studied aspects of astrodynamics, nanotechnology, mathematical biology, data mining, mathematical finance, artificial intelligence, cryptography, criminology, and the mathematics of competitive sports. In short, our Clinic projects have spanned the breadth of mathematics and its applications. Mathematics Clinic program alumni have gone on to start businesses, make (and lose) millions of dollars, and, perhaps most importantly, to play a role in the sponsorship of many of today’s projects. We are grateful for their support and together we will ensure that the Mathematics Clinic will thrive for many years to come.